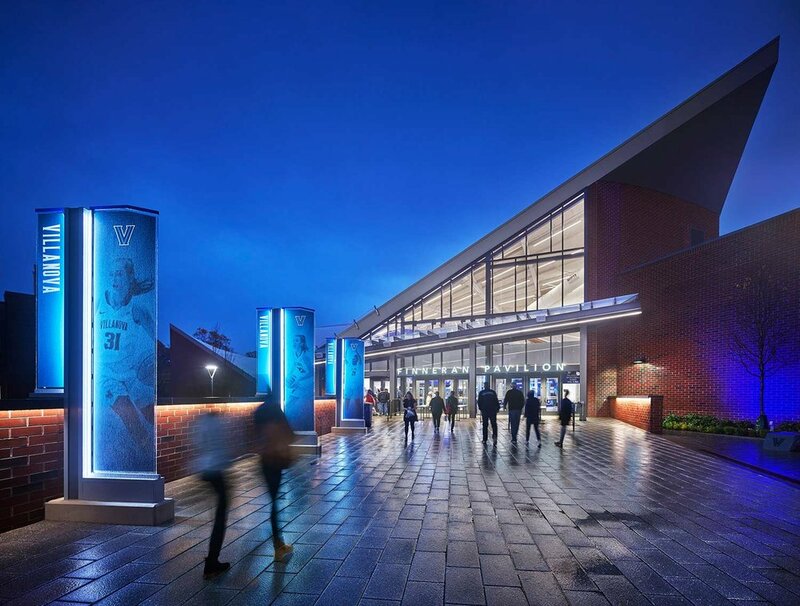 The Main Entrance Plaza at the newly renovated Villanova Pavilion. Construction is wrapping up and we're getting the first built glimpses of the original design that started two years ago. 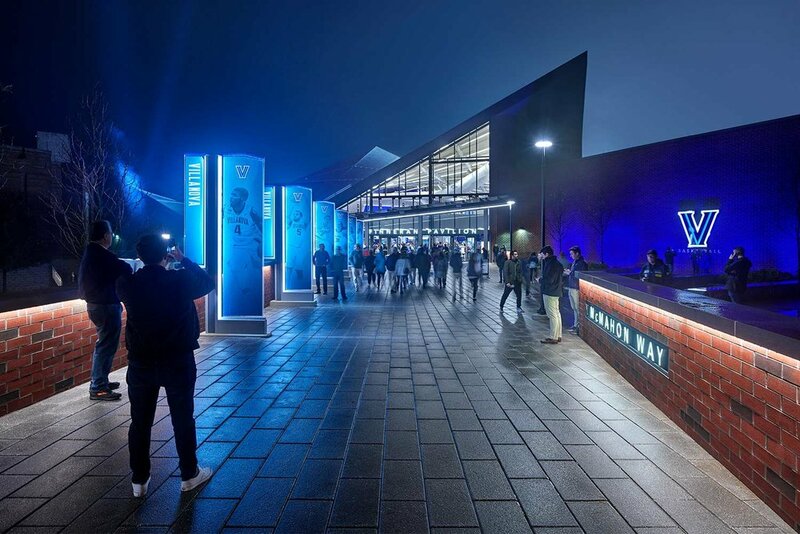 The new space elevates the visitor experience and offers seating and outdoor event opportunities for the University and celebrates the history of Villanova Athletics.